Oversize cookbooks with beautiful design and photographs have become commonplace. It isn't unusual to run into a stack of them in the "new books" section of the bookstore. But I don't see that as frequently among books about cocktails, which have tended to be more standard size. So its size was the first surprise when I received my copy of Death & Co: Modern Classic Cocktails. This isn't a book for the shelf, but rather one that demands to be set out on the coffee table--or more appropriately the bar if you have one. Many cocktail aficionados will recognize the name Death & Co, a well-known and respected cocktail lounge in Manhattan's East Village. 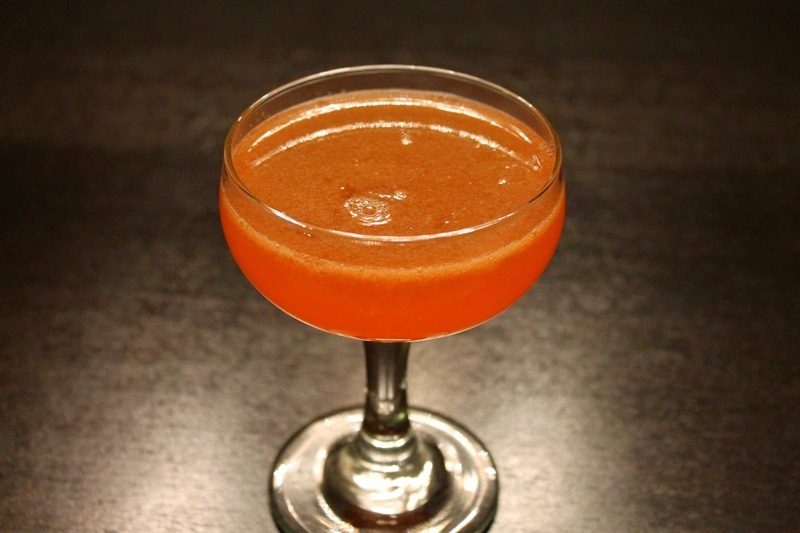 There, they craft drinks that aren't just interesting, but get noticed, like the Oaxaca Old-Fashioned, a drink created at Death & Co that migrated to its offshoot Mayahuel, another notable East Village bar, one that specializes in cocktails made with tequila and mezcal. Despite its beautiful design, it's a not a case of style over substance. Good cocktail recipes are the focus of the book, comprising its second half and organized by spirit (gin, rum, tequila and mezcal, whiskey, etc.--but not vodka, they explain in the introduction that Death & Co has traditionally taken a "hard stance" against it), technique (juleps, swizzles, etc.) and lastly a few sections on variations of well-known drinks like the Sazerac and the Manhattan. A few classics kick off this section before diving into the original drinks which are identified by the Death & Co. bartender who created them, including Alex Day, one of the book's three authors who is a co-owner of Death & Co. (along with co-author David Kaplan) and a former bartender there (publisher Nick Fauchald is the third author). The original drinks show a lot of creativity. 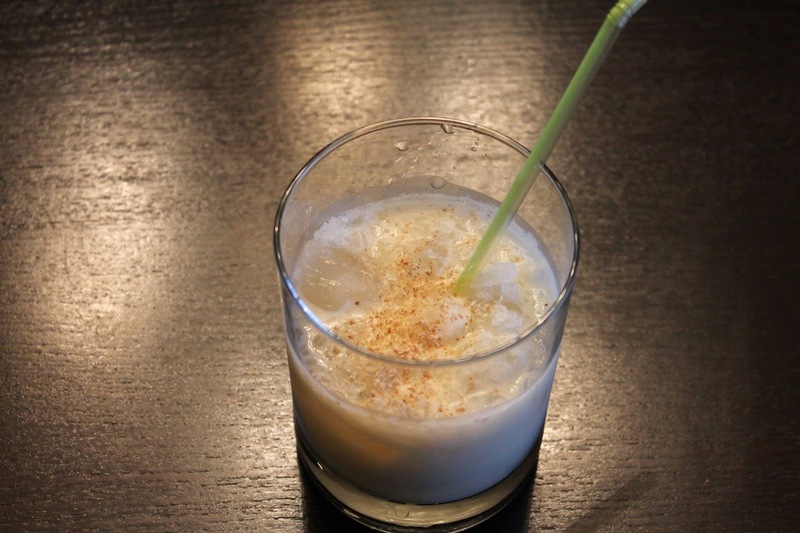 I love the Julius Orange, a nostalgic boozy take on the classic frothy mall drink. And the Naked and Famous is a lot a fun: a fabulously smoky marriage between the Last Word and Paper Plane cocktails. The first half of the book has a lot of the typical introductory fare for a cocktail book, but it is very well done. They provide thoughtful discussions about stocking your bar with good gin, rum, tequila and mezcal, whiskey (or whisky) and brandy (again, no vodka, obviously) and modifiers, mixers, etc. They also have a nice section on good bar equipment (one of the few mistakes I caught in the book was the mixed-up labelling of the paddle and Yarai style mixing glasses). 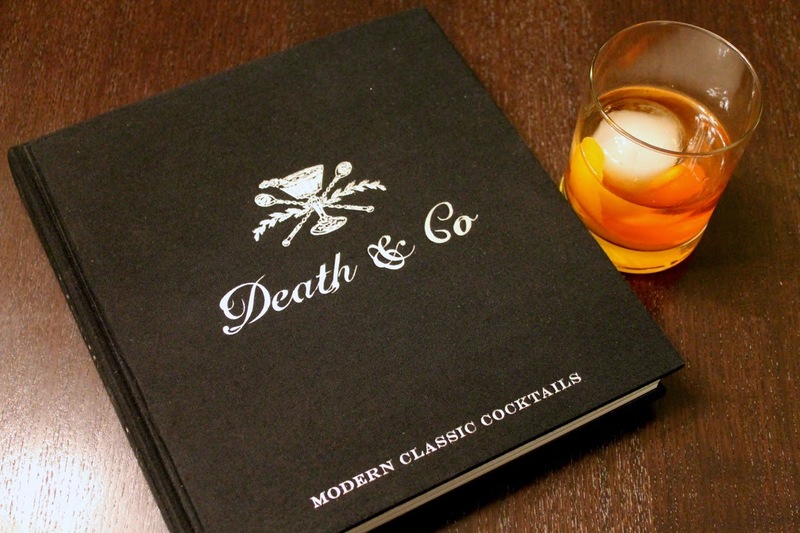 There are also nice stories about a typical day at Death & Co, how to taste and evaluate spirits and an introduction by Kaplan about the bar's beginning. They even, thankfully, state that cloudy ice works just as well as fussy clear ice at chilling your drink (I'm seeing more sanity on this point lately, hurray). If there is a cocktail lover in your life, I definitely suggest you consider this book as a gift this holiday season. It's a wonderfully organized, beautifully presented work that stands on a foundation of great knowledge and creativity. Still not convinced? 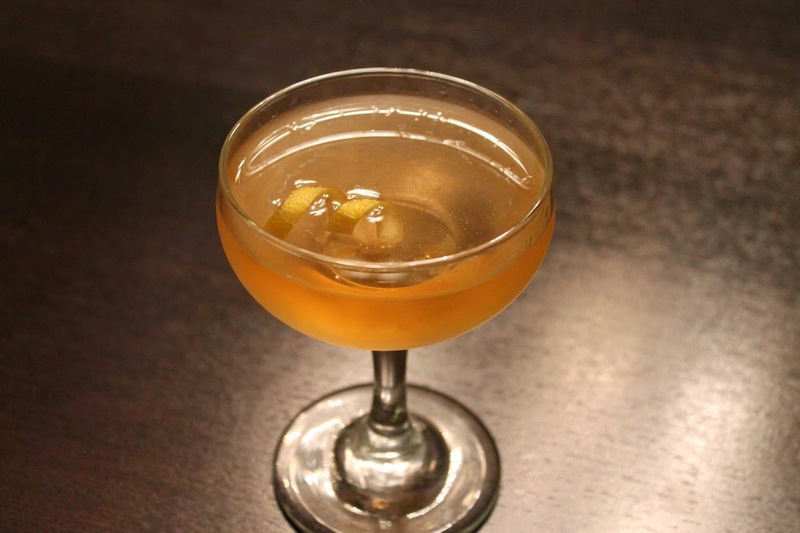 Make a few of these cocktails below that come from the book. Each one is different, original and delicious. Adapted from a recipe by Phil Ward for Death & Co. Combine tequila, mezcal, agave nectar and bitters in a cocktail mixing glass. Add ice and stir until well chilled. Strain into a chilled coupe and garnish with a flamed orange twist (see instructions in this post for flaming an orange twist). Adapted from a recipe by Brad Farran for Death & Co. Combine ingredients in a shaker with three ice cubes and do a "short shake" (i.e. don't shake it very much--just enough to combine the ingredients). Strain into a rocks glass filled with crushed ice. Garnish with a few grates of fresh nutmeg and serve with a straw. Adapted from a recipe by Jaoquín Simó for Death & Co. Combine ingredients in a cocktail shaker with ice and shake until cold. Strain into a coupe glass. No Garnish. Adapted from a recipe by Thomas Waugh for Death & Co. 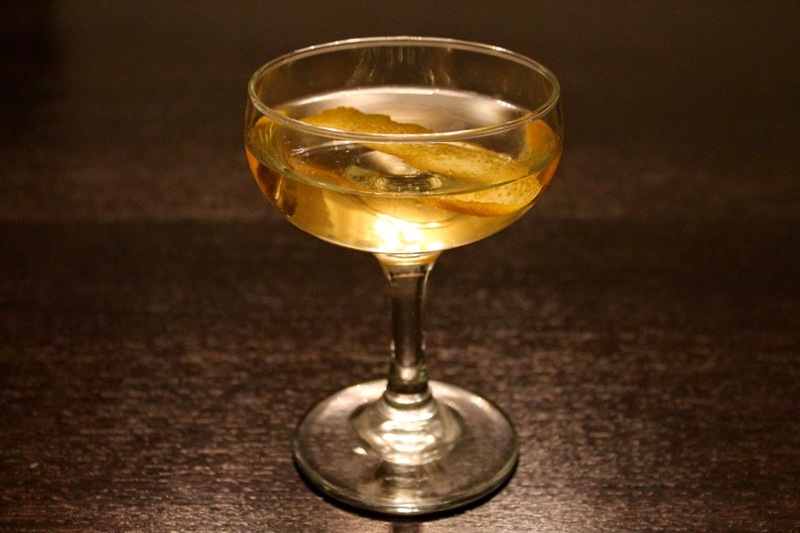 Combine gin, genever, Grand Marnier, simple syrup and bitters in a cocktail mixing glass. Add ice and stir until well chilled. Strain into a chilled coupe. Garnish with lemon twist.